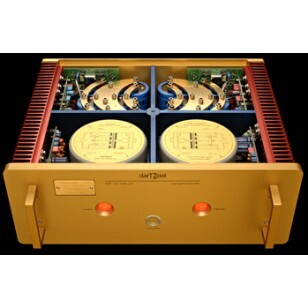 DarTZeel NHB-108 B Stereo Power Amplifier. We consider our products to be musical instruments. When an exacting musician—do non-exacting musician exist?—visits an instrument maker, technical discussion cannot always be avoided. At the end, the choice will be influenced by those more down-to-earth, we would say, considerations. 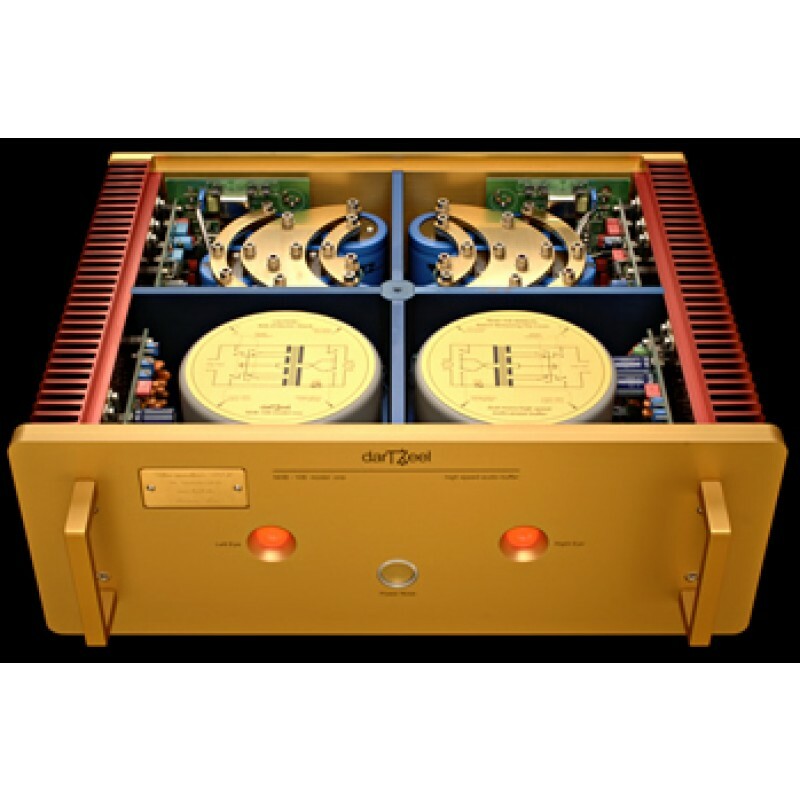 The high speed, dual mono power amplifier from darTZeel is not an exception to the rule. Technology matters, and makes a difference. But rather than claiming extravagant virtues which may be more or less verifiable, we much prefer to show you the facts, and only the facts. The five key design elements listed above are of course not exhaustive. But they do reflect the extreme care we put into the concept. We envisioned every detail of the complete design with only one thing in mind as being of paramount importance: All drawings and schematics concerning the darTZeel NHB-108 model one are copyrighted and patent-protected. The most musical reproduction possible, with the highest fidelity regarding the audio signal. Nominal output power: 100 watts RMS @ 8 (Hi) and 2 (Lo)Ohms . 160 watts RMS @ 4 (Hi) and 1 (Lo) Ohms. Input impedances: RCA: > 100 kOhms, 5 Hz to 200 kHz. BNC: 50 ±1 Ohms, 1 Hz to 1 MHz. Version B: XLR: > 13 kOhms bet. Pin 1 and 3 (cold leg and ground). 33 kOhms bet. Pin 1 and 2. 33 kOhms bet. Pin 1 and 3. Frequency response: 1 Hz to 1 MHz, +0, -6 dB (depends on measurement method). 10 Hz to 100 kHz, +0, -0.5 dB (depends on measurement method). 20 Hz to 50 kHz, ±0.5 dB (Version B, XLR inputs). DC voltage output drift: Version A: < ±590 mV max. Version B : < ±10 mV max. Signal to noise ratio: > 105 dB (A) @ nominal power. Consumption: 150 watts @ idle, up to 1000 watts @ maximum output power.